I speak slow and use simple language. English is a global language. However, if we are speaking as non-native speakers to other non-native speakers there could be a lot of misunderstanding. Even if English native speakers with different accents speak to each other there are miscommunications. 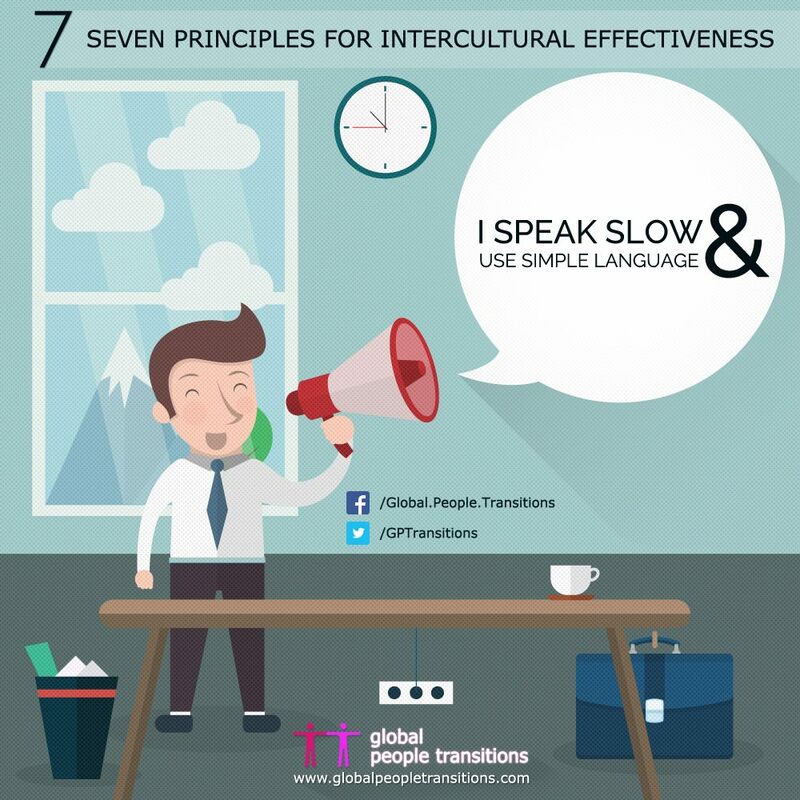 In order to become more effective across cultures it is important to speak slow and use simple language. There is no point in showing off your rich, academic vocabulary or your eloquence in inventing words if no one understands you. You can use your eloquence in communication addressed to native speakers but even then you want to be understood. Check in with your counterparts and make sure that your language is appropriate.